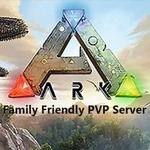 The ArkFam.com Aberration server is now LIVE!!!! If you do have a survivor already on any of the other clusters DO NOT MAKE A NEW SURVIVOR. All the clusters share the same program files and by creating more than one character, you will lose everything you own on other servers because your survivor information will get written over your previous survivors information. In you already have a survivor on a cluster simply find an obelisk or supply drop and use it to transfer to the Aberration cluster. If you need help with how to transfer between clusters, read the Cluster Guild thread under the Server Info and Rules folder. All stats are the same as the other servers. The Dino cap has been lifted. We have decided to lift the Dino cap on all servers. With that said, If we see that players start to abuse the Dino breeding and taming system we will reinstate it.